Along the hillside of Croix des Bouquets in Haiti, August Jean Soliny, farmer and single father to four children, spends his days tending to his land. August grew up farming. He inherited his land from his family and expanded the farm by renting additional plots. Today, he grows okra, spinach, corn, mangoes, tomatoes, eggplant and limes. But it wasn’t too long ago when August struggled to harvest any produce. After the disastrous earthquake in Haiti in 2010, the water in his community became contaminated with debris and decaying bodies. The contamination affected his crops and August found it difficult to get fresh, clean water for his land. A few years later, August faced another hardship. All of his crops were infected by a contagion. He lost all the money he invested in his vegetables and fruits. By early 2015, August was ready to invest more in his farm, hoping to regrow his crops and diversify his inventory. He heard about FINCA’s agricultural loans when a loan officer visited the area. With his first loan of 25,000 HTG ($403), August was able to plant okra, corn and tomato seeds on his farm. With subsequent loans, August purchased more seeds in bulk to plant. Today, August is happy that he has an abundance of vegetables and fruit to sell. He also has the help of four to six workers, who harvest the produce every three to four weeks. Merchants visit August’s farm during harvest season to purchase the vegetables and fruit to sell in the market. 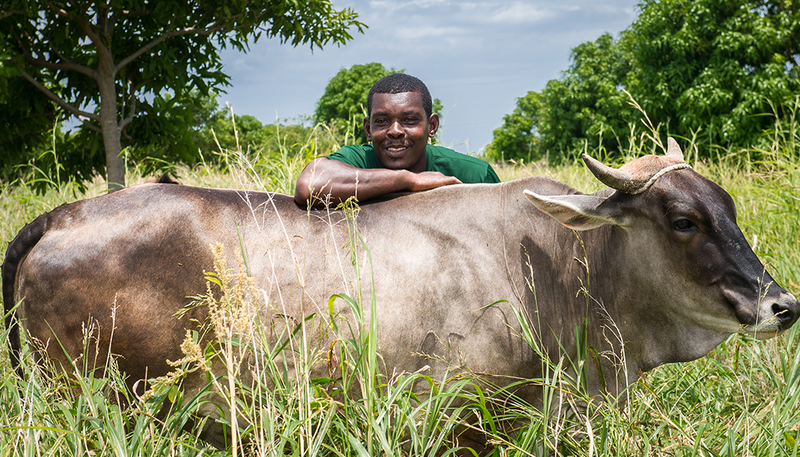 With the profits from his farm, August was able to save enough money to purchase horses, donkeys, chickens and cows to rear and sell for additional income. 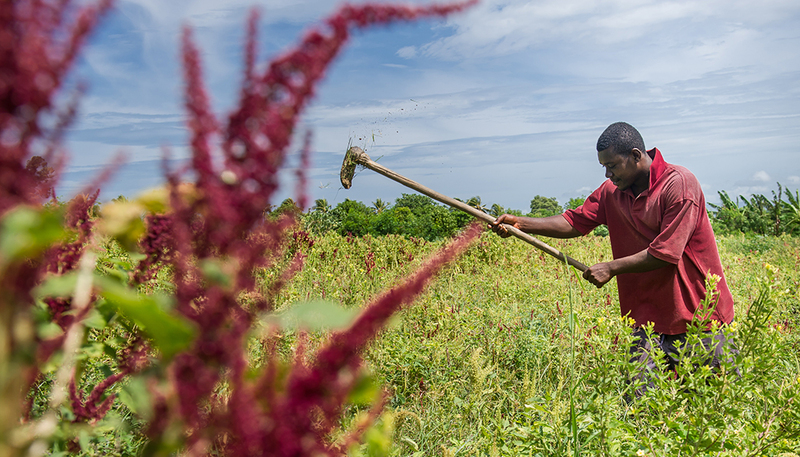 His farming proceeds also help to support his mother, brothers and four children who attend school. August hopes to grow produce tobacco in the future and supply the larger tobacco companies, as tobacco brings in more profit. He also wants to grow spices but this requires more water and time to harvest the spices. Currently, water isn’t readily available in his area and he needs to travel down the road to collect clean water for his land. But August is hopeful that he will be able to plant spices and tobacco on his land one day. When that day comes, he knows that he can turn to FINCA for help. FINCA gives good service and anytime I need assistance, they are ready to help.